Sri Lanka is a small island almost like a tiny tear drop that lies in the Indian Ocean which is sometimes known by other names such as " Lanka, Serendib, Taprobane, Cellao, Zellan" and " The Pearl Of The Indian Ocean " among others by non-natives . 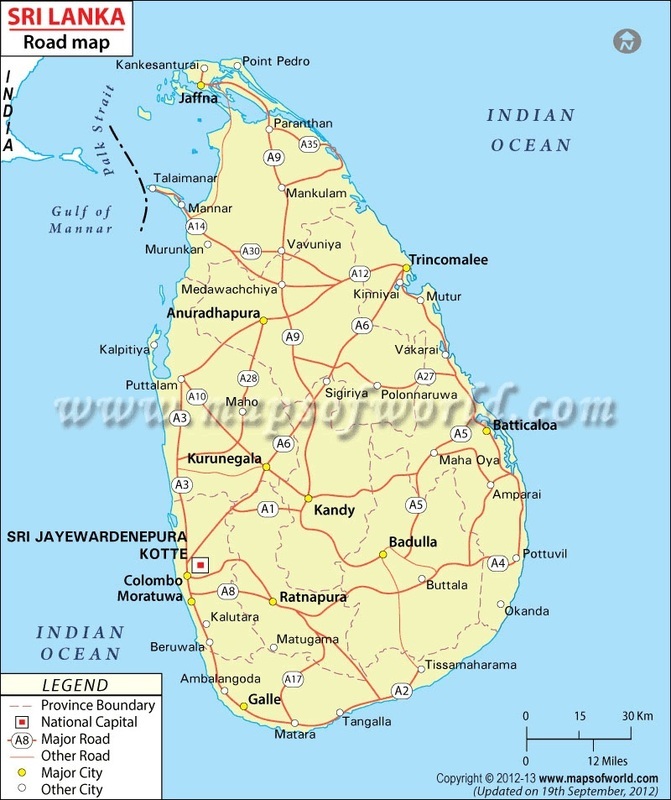 Sri Lanka lies to the southwest of the Bay of Bengal and to the southeast of the Arabian Sea. The island separates itself from the Indian subcontinent by the Gulf of Mannar and the Palk Strait. The island consists mostly of flat-to-rolling coastal plains, with mountains rising only in the south-central part. 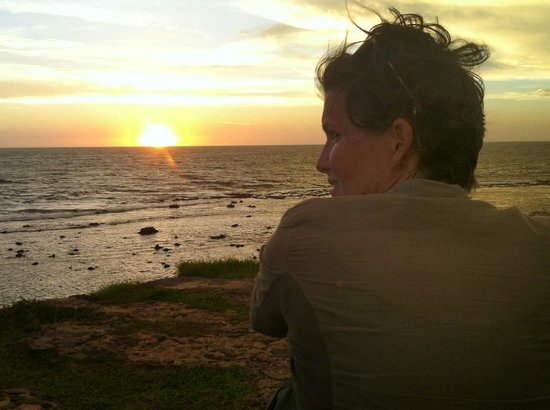 The climate of Sri Lanka can be described as tropical and warm which is an excellent condition to house one of the world's largest biodiversities. Sri lanka is known for its splendor and new life experiences ranging from mouth-watering delicacies to its extraordinary culture and glamorous festivals. Long before civilization took place in the west Sri Lanka was already full of vitality , beauty and a well-civilized culture providing a home for many ethnic groups. The cities, palaces, reservoirs, parks, temples, monasteries, monuments and works of art bore testament to the character, imagination, culture, philosophy and faith of the people of Sri Lanka. It is indeed a land like no other ..... the sheer beauty of it can leave you breathless gasping for more . The Sri Lankans themselves are very hospitable as far as hospitability can get . The calm and quiet serenity of the country will undoubtly leave anyone calm and content . Your senses will always be unappeasable because in Sri Lanka everyday is a new day and full of tranquil beauty that can never be put out in words . Simply breath-taking ............The Wonder of Asia!. Holiday travelers to Sri Lanka must have Electronic Travel Authorization (ETA) for entering in to Sri Lanka. Please visit http://www.eta.gov.lk for more information. Sri Lanka’s #1 beach destination, Unawatuna has a classic mellow traveler vibe and pretty much every bit of development is aimed at the mostly young visitors who flock here. 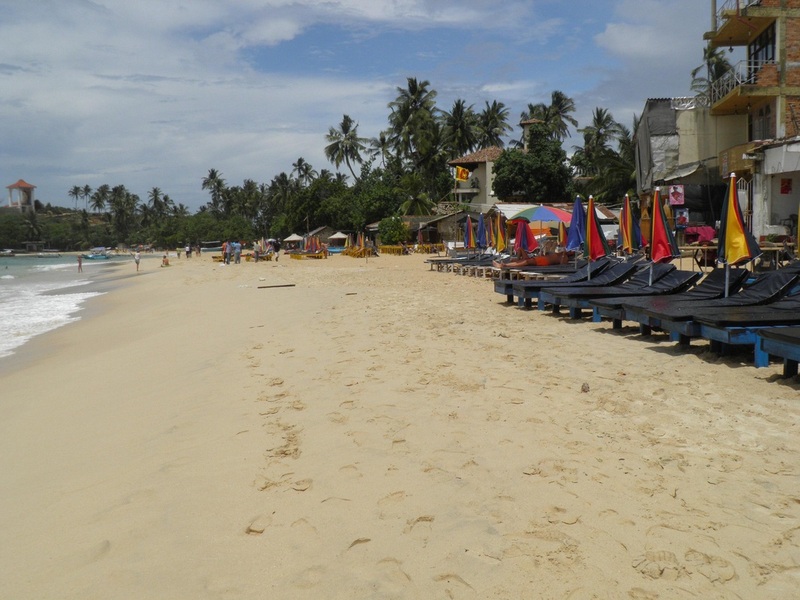 With the coast road a kilometer away, Unawatuna isn’t plagued by the same kinds of traffic irritations found at many other beach towns. It’s quiet, which only adds to the allure. 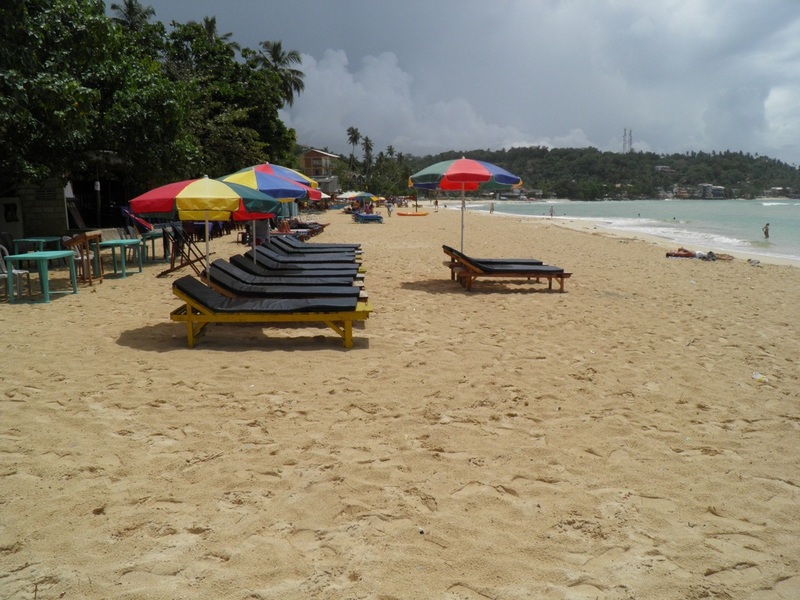 At night people wander the beach, sipping cold beers at the many simple beachside cafés. Best accommodation is to be found in Yaddehimulla, the best residential area and also the widest beach area with the popular Home stays, Guesthouses, Cafes and Restaurants. Home Stay Strand, Bird House, Sea View, Rock House, Amma’s, Kingfisher, Thambapani, Hot Rock, Happy Banana Coral Light and are the most sought out places. 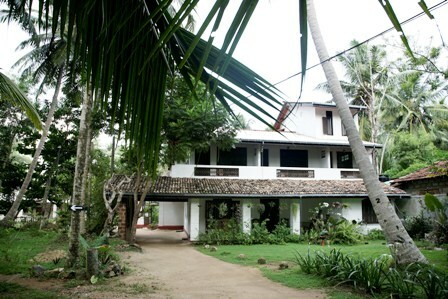 Unawatuna traces its roots to the great epic Ramayana. In the mythological epic, the monkey-warrior Hanuman was sent back to India to fetch the four medicinal herbs by Jambavan namely, mritasanjeevani, vishalyakarani, suvarnakarani, and sandhani from the Himalayas in order to heal Lakshman who was wounded trying to save the abducted Princess Sita from the demon king Ravana. Hanuman failed to identify these herbs, so he lifted the entire mountain and carried it to the battlefield to try to save Lakshman, but in the process, a chunk of it "fell-down" in the location of the present day Unawatuna, the name of the village derives from "Una-watuna" meaning "fell down". Here is an unexpected bonus for the trekkers too. As if swimming, surfing, diving wouldn't do, you will be strolling over the rocks rising from west end of the beach. The grand rocky outcrop that rises sheer behind the village, on the west end of the beach is legendary. The hill, Rumassala is home to a large collection of medicinal herbs. It sports entertaining gangs of boisterous macaque monkeys. In the great Indian epic, Ramayana, Lord Hanuman, king of the non-human Vanara tribe was sent by India's Lord Rama to Himalayas to fetch a herb to save his brother Lakshmana, who was mortally wounded in their battle against Lanka's King Ravana of non-human tribe "Yaksa". Having failed to identify the plant, Lord Hanuman, rose to occasion & became larger than the problem, larger than the life, larger than the herb congested mountainside of Himalayas & ripped off a whole hill & brought it to Lanka. But then in his haste, he managed to drop off a couple of chunks. One is the Rumassala hill, the other s being Hakgala Gardens close to N Eliya and Ritigala hill. Both hills are home to rare plants & herbs: protected areas. The sea bordering Rumassala has the Bona Vista reef, home to some of the best-preserved coral in the island. The summit of the hill provides excellent view across Galle Harbour towards the Dutch Fortress city of Galle.. And to inland, the view is enchanting with the sight of Deniyaya Hills and Adams Peak on clear days. glide past you, when you embark on a whale/ dolphin watching excursion off the Southern, Eastern or the West coast of Sri Lanka. The ideal locations for whale watching would be MIRISSA accessible from Galle/Unawatuna and Trincomalee while the sea off Kalpitiya teems with an abundance of dolphins. Sri Lankans are Cricket crazy! The Aderlin is now real high after we defeated mighty Indians to win the T20 WORLD CUP in Bangladesh. We are saying Good Bye to two cricket legends in Kumar Sangakkara and Mahela Jayawardena who will not play any mOre T20 Cricket. Sri Lanka also annexed The Asian Cup in this format and is the #! Nation in ICC ratings. The Sri Lankan Elephant is the prominent figure in Sri Lankan wildlife and this is a rightful honor for the majestic and intelligent beast crowned the largest of the Asian elephants. The current elephant population in Sri Lanka stands at 4500-5000 and great measures are being taken in order to preserve and protect the dwindling figures. A visit to Sri Lanka would be incomplete without a glimpse of these magnificent creatures that can be observed within safeguarded National Parks such as Yala, Wilpattu, Wasgamuwa, Minneriya , and Udawalawa . A found favorite among the locals as well as tourist is the Pinnawela Elephant Orphanage. Watching dozens of these elephants walk past you as they splash into the river at bath time and feeding an adorable baby elephant out of a giant milk bottle is a wonderful experience that will make your visit all the more worthwhile. Sri Lanka has approximately 1600km of beautiful beaches & has great surfing all year round. Arugambay, located on the eastside, is the best surfing site in the world. Surfing season:May to October. You can also surf in Hikkaduwa, Midigama, Galle Harbor and Unawatuna. Sri Lanka has a huge range of Buddhist, Christian, Hindu and Muslim festivals. The Kandy Esala Perahera in July - August [This year 2014 from August 1st] is the most important festival, with 10 days of whip crackers, dancers, torch – bearers, drummers and elephants. Kandy Esala Perahara is annually held in July or August, when the Tooth Relic of Buddha is paraded in the streets of Kandy enshrined in a Golden casket and carried majestically on a caparisoned Elephant attended by multitude of Kandyan Dancers, drummers, flag bearers and Local Chieftains. The Temple of Tooth at Kandy is the final location of the sacred tooth of the Lord Buddha which was brought to Srilanka during the reign of king “Keerthi Sri Megawarna” by Prince “Dantha” and Princess “Hemamala” from the kindom of Kalingu India, where a war was waged for the possession of the sacred relic. It is recorded that the prince and the princess donned the garb of ascetics and carried the Relic hidden within the coiffure of Hemamala not to be noticed by passersby. Basking on the southern coast of Sri Lanka in the bay of Galle, the Fort was first built by the Portuguese in 1588 before being extensively fortified by the Dutch in the mid 1600s. Recognized by UNESCO for its cultural heritage value, the Fort was declared a World Heritage Site in 1988 as a unique exposition of "an urban ensemble which illustrates the interaction of European architecture and South Asian traditions from the 16th to the 19th centuries."